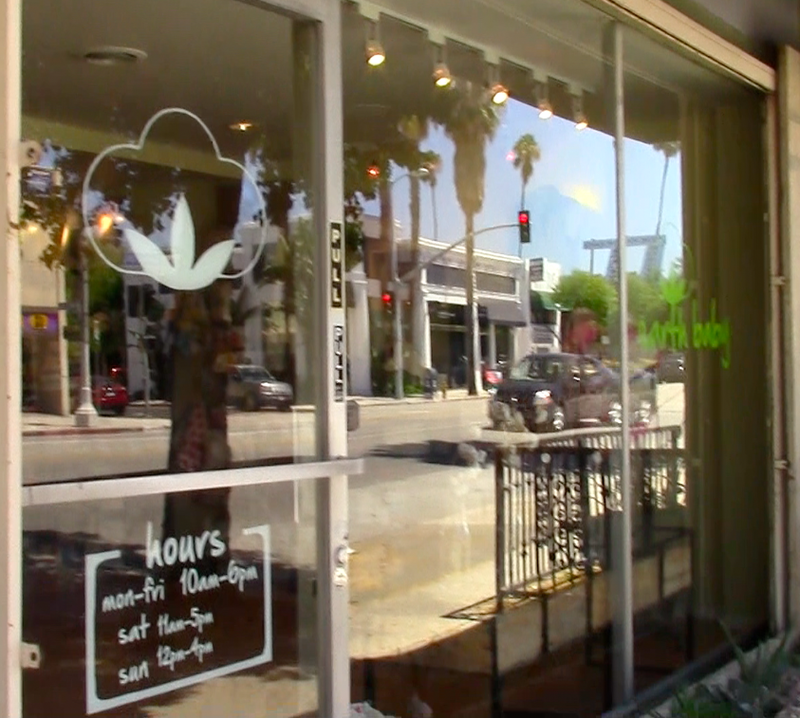 So yesterday a friend and I went and visited Earth Baby Boutique in Sherman Oaks, and it was AMAZING! 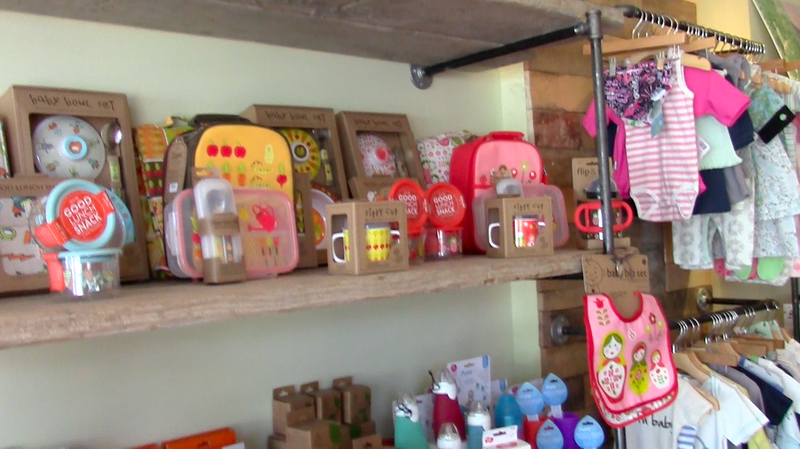 It is a store that is geared towards moms, babies, and young kids, and carries all natural, organic, chemical free items that are Eco-friendly! It is such an amazing store, I was in HEAVEN when I went! I spoke with one of the girls who works there, Jennifer, and she was SO helpful. She was happy to answer all of my questions, she showed me around the entire store, gave me informational products, and instructions for new products I had never tried before. 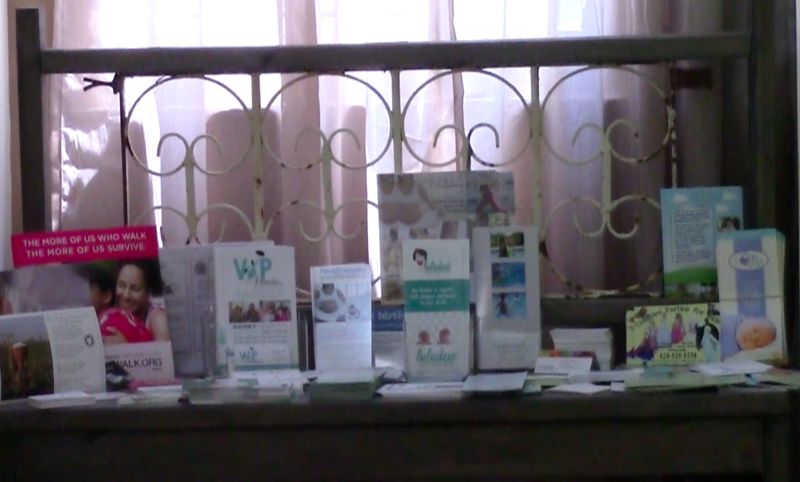 The store even has a section that holds baby related business information, a lot from local moms, like Douala's, prenatal chiropractors, cloth diaper services etc. Not only that but they also host monthly events in the store! Some of these are free like the baby wearing seminar or the Q & A with Dr. Berlin (last meeting was about pre and post natal chiropractic services and benefits), other events require payment (like their 6-week baby music class) but they have a calendar of events on their website and you can register for events from their website! 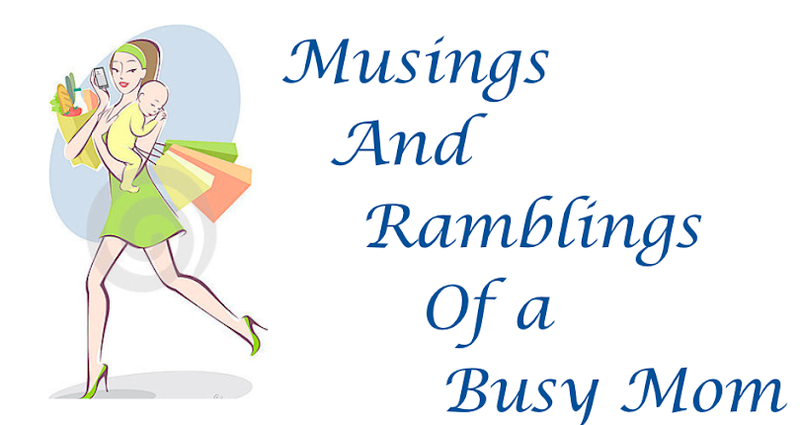 SO convenient for busy moms. Here are some photos from my visit so you can see just how amazing this place is! Also, if you want to see a full video tour and a HAUL of all the amazing products I purchased check out my YouTube Channel and check out the video!!! The front of the store-so cute! 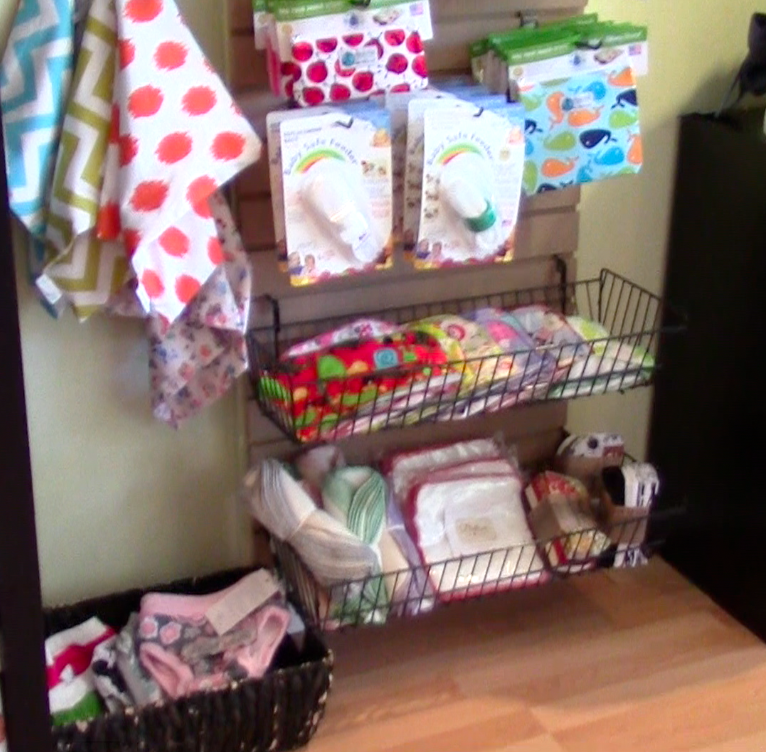 This is just SOME of their cloth diaper selection, and their ADORABLE cloth wipes. 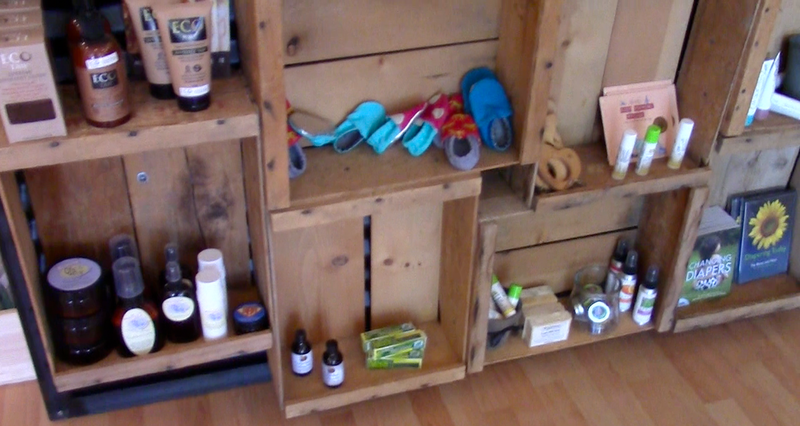 They carry so many natural product, and hand made baby shoes from a local mom! Getting ready to go back to school? The have renewable, Eco-friendly lunch boxes and food storage containers. Having a difficult time with teething? They have amber necklaces! How do amber necklaces work? I personally have never used amber necklaces for teething, so I wasn't sure how they worked. Jennifer was kind enough to give me a detailed breakdown of how they can help your little one. Amber is petrified tree sap, and Jennifer was telling me that through the petrification process, natural oils are held within the amber. When the amber has contact with a person's skin the oils are gradually released and absorbed through the skin. The oils once in the system help to alleviate pain and muscle soreness so they can have a relieving effect on a baby that is having a difficult time teething. And if used in conjunction with teething oil (they have some in the store-all natural) the effects are multiplied. I may have to try that once baby Charlie comes and is teething. 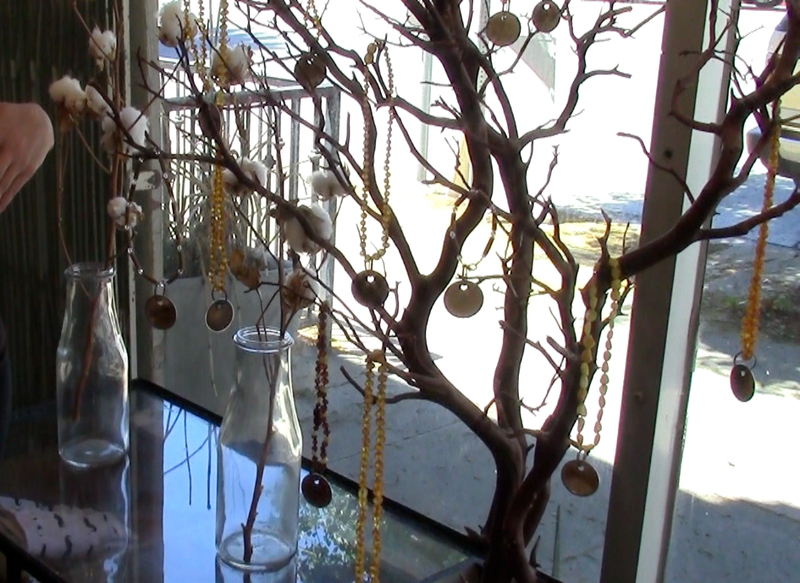 The majority of the store is contained in their back room, and it is wonderful! This is where the hold their classes, playdates, and lectures, and you can tell that is is build by a mom for other moms! It is so roomy and has everything a mom could want: bouncer chairs for babies, a play area for older kids (my daughter spent the entire time playing back there), large pillows to sit on, yoga mats, a table full of local mom services, and of course SNACKS!! I'm telling you, you guys, this store is a mom's DREAM! I was so excited to leave the store with all of my stuff because for the FIRST TIME I KNEW that every product I had in my bags was free of any ingredient that could hurt my kids! I don't have to worry about chemical burns or negative effects (unless of course your child is allergic to one of the natural ingredients, so please read the ingredients list). And it was AMAZING to be able to not just read, but UNDERSTAND the ingredients list on my kid's products! I'm serious you guys, if you are in the Southern California area, you MUST go and see the store, and go to one of their events! If you're not in the area, go to their website and check out all of their amazing products...I was in heaven! I'm serious, look at all the stuff I got! If you want to see a full store tour and a full HAUL of all the products I purchased (with links) check out my YouTube Channel for the video about my experience!